"Casa Maritime Patrol Aircraft departs Casement Aerodrome, Baldonnel in snowy weather for routine Maritime Patrol"
That effing music. FFS make it stop. "Cpl Mark Keogh discusses his work as a Sensor and Airborne Radio Operator on a CASA Maritime Patrol"
"A recent Visitor to casement Aerodrome, Baldonnel on a training flight departs for home." Last edited by Rhodes; 29th June 2013 at 11:37. In July 2012, Boeing made an announcement: it intended to develop a Maritime Surveillance Aircraft (MSA) derived from the sensor suite carried by their P-8A Poseidon Multi- mission Maritime Aircraft (737 MMA). The surprise was that this MSA sensor suite would now be carried by a 'medium-sized' business jet – a 'platform' type that Boeing itself does not build. Boeing's reasoning was obvious – to provide an aircraft with many of the P-8A Poseidon's capabilities but with a much lower purchase price plus reduced operating costs. The P-8A is based on the B737, Boeing's smallest airliner. To achieve further economies in purchase price or operating costs, a much smaller airframe than the B737 was required. Initially, no specficic airframe was mentioned. Boeing insisted that its Maritime Surveillance Aircraft suite was "platform agnostic". In other words, the MSA systems would fit into any medium-sized bizjet airframe. That has now changed (or, at least, a most preferred candidate has now been selected). In June 2013, Boeing revealed that the Canadian-made Bombardier Challenger 605 mid-sized business jet was the airframe of choice for their proposed MSA. Of course, Boeing's choice of the Challenger wasn't a complete surprise. Concept artwork of the Maritime Surveillance Aircraft (at left) had been released by Boeing back in July of 2012. And that MSA concept art was clearly based on a Challenger variant. Boeing also has experience operating Bombardier's bizjet. Challenger 605 N549BA (c/n 5775) is used as the Boeing Company's own corporate jet. A Challenger 605 is now to be converted as a prototype, with the installation of the MSA sensor suite . The concept art shows a Challenger fitted with the Raytheon AN/APY-10 multi-mode radar from the P-8A in a 360° belly radome, a substantial 'antennae farm' beneath the wing centre section, and a retractable electro-optical sensor turret in the rear fuselage. The MSA's E/O turret seems too small to be the Poseidon's Canadian-made MX-20HD – more likely the 'half-sized' Wescam MX-10 series E/O is intended. The concept artwork also appears to show another Canadian-made sensor – the CAE advanced, integrated magnetic anomaly detector (MAD) boom attached to the underside of the Challenger 605's tail cone. So why all the fuss? The main difference between the earlier Challenger MMA and Boeing's proposed MSA is that the US aerospace giant will be 'leveraging' its P-8A Poseidon mission systems integration experience and installing the latest naval airborne search radar set – the Poseidon's multi-mode AN/APY-10 (just now entering service with US Navy P-8As). Perhaps the biggest distinction between the Challenger MMA and the proposed MSA is that the latter will bring with it Boeing's imposing global support system. As the P-8A (and Poseidon export variants like the P-8I for India) enter more widespread service,  support coverage for the P-8's mission systems (and any future upgrades) will inevitably expand. With Boeing covering integration of its P-8A Poseidon sensor system, Raytheon upgrading its APY-10 radar, and Bombardier supporting the Challenger 605 airframes , the Maritime Surveillance Aircraft should have a very promising future. The P-8A Poseidon airframe was based on the B737-700 (with elements of the B737-800). There are slightly smaller B737 variants – eg, the BBJ1 executive jet – but those would not provide the degree of cost savings Boeing sought for the Maritime Surveillance Aircraft. While Boeing has committed to the Challenger 605, the MSA prototype conversion will not necessarily be made to their corporate bizjet, N549BA, as shown at the top of the page. There is also the Boeing P-8 AGS which will retain the APY-10 radar in the nose but adds a belly-mounted Airborne Ground Surveillance sensor (Ground Moving Target Indicator and synthetic aperture radar). The P-8 AGS is intended to replace the USAF's E-8C JSTARS fleet. To date, Bombardier has delivered more than 200 of the Challenger 605 sub-type bizjets. Not at all surprised by this. The price of the P8 puts it outside the budgets of many nations and even those that can afford it are buying in smaller numbers with lighter, cheaper aircraft such as Dash 8s and CASAs being purchased to fill the lower operational teir such as fisheries, pollution and SAR, the P8s being reserved for military operations. If Boeing hadnt produced something in the lower end they risked a substantial portion of their potential revenue going to mission system integrators such as Field Aviation in Canada. Field Aviation have already produced Marpat 604s for the Danes so this is really a direct competition to its only jet product. Last edited by Tadpole; 24th July 2013 at 08:48.
you'd be surprised. the Gulf has plenty of reasons to justify MARPAT aircraft, not to mention the pirate problem around the corner. 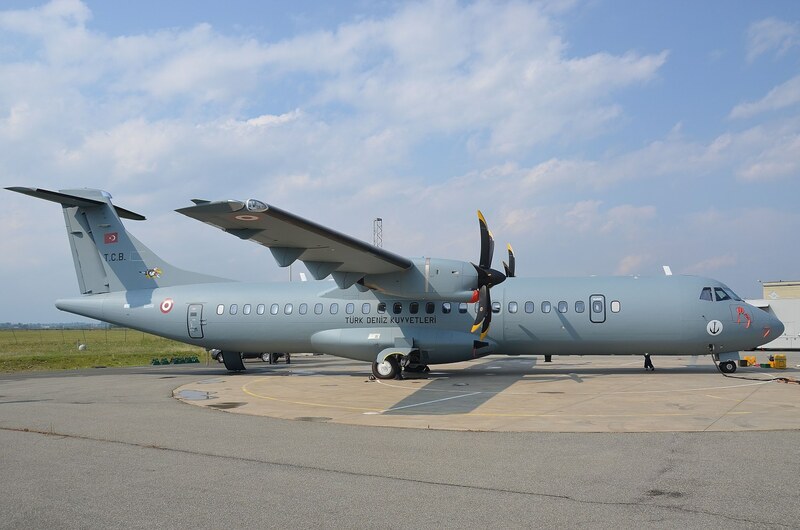 TRIESTE, Italy, July 24 (UPI) -- Italy's Alenia Aermacchi has delivered the first of eight ATR72-600 maritime aircraft to the Turkish Navy, with the second due next month. The aircraft delivered is in the Turkish Maritime Utility configuration, of which two were ordered. The remaining six ATR72-600s will be in the patrol and anti-submarine configuration. The ATR-72 was first introduced into service as a twin-engine, short-haul, commercial turboprop airliner. The 600 series was announced in 2007, with first deliveries slated for 2010. The two military utility versions of the plane feature new radios; an Identification Friend or Foe system and a cabin area equipped with tactical tables and communications equipment. In a related development, Alenia Aermacchi said the first Turkish Navy flying instructors recently completed training on the aircraft at its training center in Caselle, Italy. Additional details were not provided. Turkish Aerospace Industry will convert the remaining six aircraft from civil configuration into the anti-submarine warfare version, which will include weapons, Thales AMASCOS mission systems and other mission specific equipment. Deliveries to the Navy are expected to begin in 2017. Yesterday’s Bank Holiday turn out to be a busy day for ‘Charlie 253’. The maritime crew had just completed their patrol and were routing to Birr Airfield Fly-in when they were called back to base for an emergency air ambulance to London. The crew did a quick turn-around in Baldonnel and were airborne for RAF Northolt with the patient. When they arrived back in Baldonnel they were met by an oncoming crew who had been tasked with a Search & Rescue Top Cover mission. ‘Charlie 253 was airborne again shortly after and assisted with the safe evacuation of a casualty 100 nm off the West Coast of Ireland. Also noteworthy is that 253 was up late Sunday night/early hours of Monday for a patrol. They're going constantly - I wouldn't be surprised if they top last years # of patrols. I think someone mentioned a figure ~274 for 2012 - not sure of hours, but they seem to be 5 hrs or more each - I'm in Naas and seem to catch a glimpse of a Casa every day of the week. Last edited by pym; 7th August 2013 at 15:53. Seams i little on the low side for two mission dedicated aircraft. Since the various electronic aids (for the NS FSC) on FVs were introduced airborne patrols aren't required as often. Or was this a case of Bank Holiday Baldonnel with no other aircraft/crew available (second CASA/Learjet)? Who Tasks the CASA on a daily basis? Five patrols a week out of two aircraft would seam low even to a casual observer..
That was Maritime Patrols only as far I know, not sure if customs/covert surveillance is included in that figure, or topcover - then they're also being used for air ambulance, para drops and I assume twin engine training is digging in to their availability since the demise of the SKA. Like the helicopter fleet, they're being dragged this way and that. 253 seems to be the busiest of the pair. I had read it somewhere I think but I could be wrong. Anything positive to contribute perhaps...?